Heeft u een vraag voor Hotel Cozzi Zhongxiao Taipei? Hotel Cozzi Zhongxiao Taipei in Zhongzheng District, Taipei is een populaire keuze onder reizigers. Het stadscentrum is slechts 4.7 km verwijderd en het vliegveld kan worden bereikt binnen 40 minuten. Een plezierige omgeving en de nabijheid van Shandao Temple, Huashan Market, Taipei National Art Village verschaffen dit hotel een bijzondere charme. 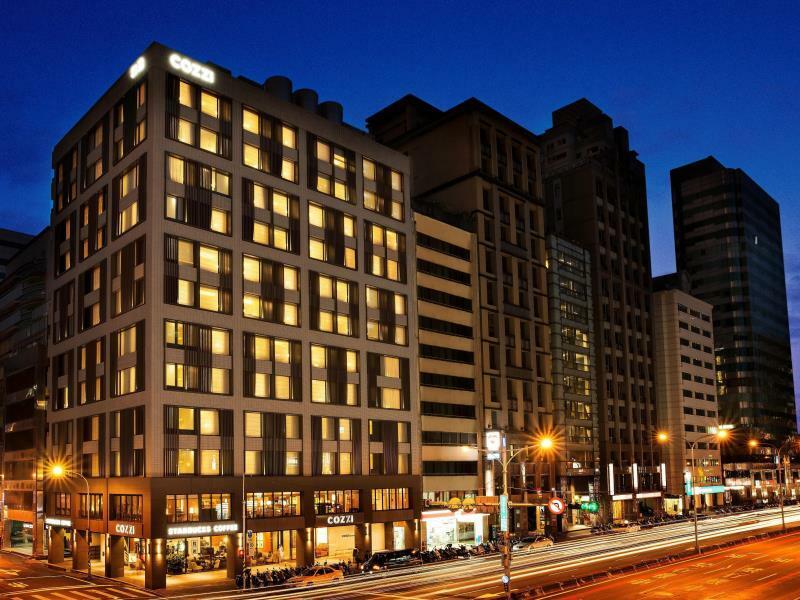 Bij het Hotel Cozzi Zhongxiao Taipei staan de excellente dienstverlening en superieure faciliteiten garant voor een onvergetelijk verblijf. Gasten kunnen gebruikmaken van hotelfaciliteiten als gratis wi-fi in alle kamers, rolstoelvriendelijk, 24-uur beveiliging, dagelijkse schoonmaak, taxi service. Aanvullend beschikken alle gastenkamers over een variëteit aan voorzieningen als plasma tv, oploskoffie, thee, slippers, sofa, om zelfs de meest veeleisende gast te tevreden te stellen. Daarnaast garanderen de talrijke recreatieve mogelijkheden dat u zich tijdens uw verblijf kunt vermaken in het hotel. Als u zoekt naar comfort en gemak in Taipei, dan is het Hotel Cozzi Zhongxiao Taipei uw thuis ver weg van huis. De maximale hoogte, breedte en lengte van voertuigen in de parkeerplaats is 1,55, 1,93 en 5 meter. Parkeergelegenheid is beperkt beschikbaar en op basis van wie het eerst komt, wie het eerst maalt. De minimumleeftijd om in te checken is 20 jaar. In kamertypes waar 2 volwassenen kunnen verblijven, verblijft maximaal 1 kind jonger dan 6 jaar dat van een aanwezig bed gebruikmaakt gratis. In kamertypes voor vier personen zijn maximaal 4 gasten per kamer toegestaan. It takes 10-15 mins walk from Taipei Main station, if you are carrying a huge suitcase, better to take MRT and get off at 善導寺station which is just one stop from Taipei station. 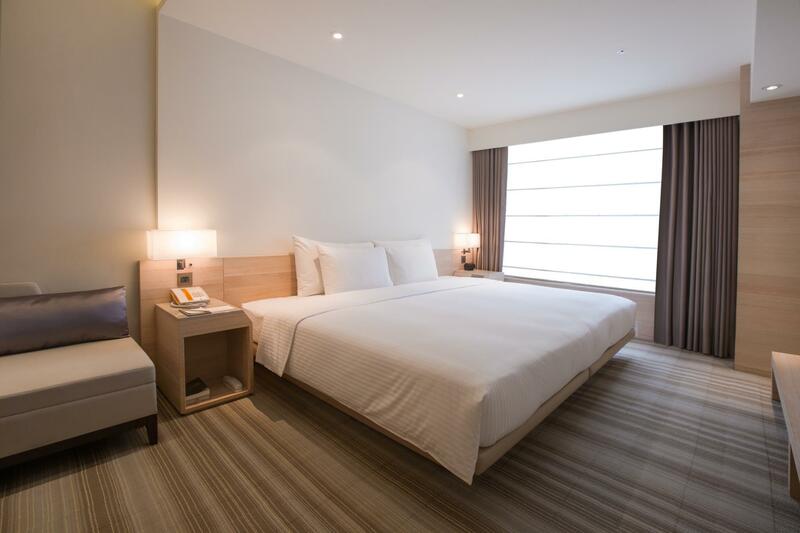 Room is clean & spacious, can even open 3 suitcases, shower is powerful, buffet style breakfast is delicious with wide variety, staff is polite and helpful, will definitely stay in the future. Dear Valued Guest Mr./Ms. Siu, Thank you for choosing to stay at HOTEL COZZI Zhongxiao Taipei for your visit and taking the time to complete our survey. We are pleased to know that the overall quality of your stay was excellent. Thank you for complimenting on our service. In the future, we will continue to elevate our services and facilities to further enhance guests’ stay experience. Should you require any assistance during your stay, please feel free to consult our service staff. We hope you enjoy your visit in Taipei as well as the COZZI experience of “Unwind Get Cozzi” with us. Location is great! So close to the train station, good food around the place. Fu han soy milk is just across the hotel. Taxi infront of the hotel. Convenience stores are very close (hi life is just next door). Very professional-had an accident but it was solved immediately. A big thanks to the staff. Very polite and they always greet with a smile. The service is impeccable! Dear Valued Guest Mr./Ms. Khristine, Thank you for choosing to stay at HOTEL COZZI Zhongxiao Taipei for your visit to Taipei and taking the time to complete our survey. We are pleased to know that the overall quality of your stay was excellent. Thank you for complimenting on our Location, as well as recognizing the satisfactory service delivered by the staff. In the future, we will continue to elevate our services and facilities to further enhance guests’ stay experience. Once again, thank you for staying at HOTEL COZZI Zhongxiao Taipei and giving us the opportunity to serve you. We look forward to welcome you back in the near future. It pleases a traveler to be able to find a hotel where everything are immaculate and nothing to complain. Convenient stores and substation within short walking distance. Breakfast spread include Asian and Western and complimentary free coffee and tea from 10 morning to evening at breakfast area located on level 2. Dear Valued Guest, Thank you for choosing to stay at HOTEL COZZI Zhongxiao Taipei and taking the time to give us a perfect rating for your stay with us. We are delighted to know that you find our location, cleanliness, breakfast and lounge service up to satisfaction. Furthermore, it brings us joy that you have enjoyed the full spectrum of COZZI experience- “Unwind Get Cozzi”, including “THE Lounge” situated on the second floor, where all staying guests are welcomed to kick back and relax. Once again, we are grateful to you for giving us the opportunity to serve you. We hope you had a memorable time in Taipei, and we look forward to welcome you back in the near future! We were going to Stay at the Sheraton a few blocks away which is very very nice but extremely expensive. I found this hotel just a few blocks away. Half the price and very nice. I thought the Hotel was brand new as it was spotless and very modern. I needed 4 king rooms and they were perfect. No wear and tear seen at all Large lounge area on the second floor. Perfect for quick business meetings. The bed was very comfortable, Great pillows. The breakfast was a full buffet with Asian and western style and was included with the room price. The service was excellent. The staff very friendly and helpful. I highly recommend this Hotel and as a bonus there is a Starbucks attached directly to the Hotel Lobby. Perfect for a business meeting too. Basic amenities provided for babies, however, only two towels provide for our room. And same occurrences n on the next day. Have to call again for extra towel. On other areas, same thing happen. The hotel is good, however, not great on thinking the extra on what guests really needed. Cozzi treat is now 3-4pm, which is a bit short for a lounge. And only local soda is provided for free. Spent a night here during the last day of 2015, the room rate was 3 times more than usual but worth every single cents as the staffs provided top top services. Room was clean and comfortable, the hotel also upgraded our room to a better one so it's a bonus, thank you :) The location is great as it is just next to the subway station, however if you are those keen on staying at the busier place like Xi Men Ding, then this place is probably not your top choice. I would say it is decent as it is just one stop away from the Taipei Main Station, not to busy, not too far from everything. From this hotel we can see Taipei 101 building and the interesting Firework during the special night, the street was crowded with people doing the same thing as us, it was fun :) When we leave the hotel the concierge team helped us with the heavy luggage and walk with us to where the hired car is parked, away from the hotel main entrance, I am very impressed with the services. A very good job done. I will definitely come back to this hotel again. Fantastic! So near to train station, just a road across. Starbucks and convenience stalls just downstairs and a supermarket across, very convenient. Quiet yet just a stop away from taipei main station. Dear Valued Guest, Thank you for choosing to stay at HOTEL COZZI Zhongxiao Taipei for your visit to Taipei. We are pleased to know that the overall quality of your stay was excellent. Thank you for complimenting on our THE Lounge service, as well as recognizing the satisfactory service delivered by the staff. In the future, we will continue to elevate our services and facilities to further enhance guests’ stay experience. Once again, thank you for staying at HOTEL COZZI Zhongxiao Taipei and giving us the opportunity to serve you. We look forward to welcome you back in the near future. Hotel room is big enough and clean. The only thing is there are no resto and night markets nearby so you will need to take metro everytime u wanna go for something. Dear Valued Guest Mr./Ms. Ka, Thank you for choosing to stay at HOTEL COZZI Zhongxiao Taipei for your visit and taking the time to complete our survey. We are pleased to know that the overall quality of your stay was excellent/good. Thank you for complimenting on our room, as well as recognizing the satisfactory service delivered by the staff. However, we understand that location was an issue of concern. In the future, we plan to provide more comprehensive information on location, access as well as tourist attractions to further enhance guests’ stay experience. 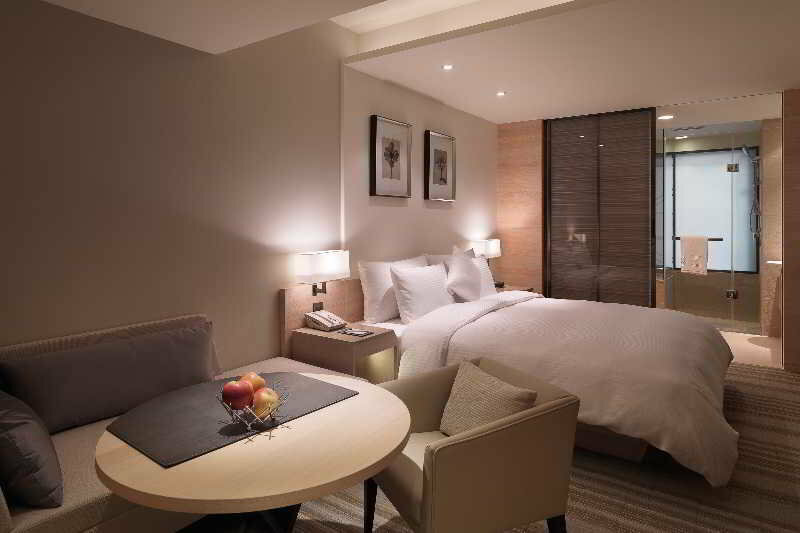 Once again, thank you for staying at HOTEL COZZI Zhongxiao Taipei and giving us the opportunity to serve you. We hope you had a fabulous time in this vibrant and culturally rich city. We look forward to welcome you back in the near future. Staff was very helpful and great location with weekend farmer's market in walking distance. Dear Valued Guest, Thank you for choosing to stay at HOTEL COZZI Zhongxiao Taipei for your visit to Taipei and taking the time to complete our survey. We are pleased to know that the overall quality of your stay was good. Thank you for complimenting on our hotel location, as well as recognizing the satisfactory service delivered by the staff. In the future, we will continue to elevate our services and facilities to further enhance guests’ stay experience. Once again, thank you for staying at HOTEL COZZI Zhongxiao Taipei and giving us the opportunity to serve you. We look forward to welcome you back in the near future. Dear Valued Guest, Thank you for choosing to stay at HOTEL COZZI Zhongxiao Taipei and taking the time to share a favorable comment about our hotel! We are ecstatic to receive a perfect rating for your stay with us. Thank you for complimenting on our location and recognizing the satisfactory service delivered by our staff. We hope you had a memorable trip in Taipei, and we look forward to welcome you back in the near future. Clean hotel and good facilities but what sets this hotel apart is the location. It's literally right outside the metro (Shan Dou Temple Station exit 6), there's a 7/11 across the street and a mini stop right next door and a McDonald's one block down. Very satisfied with this hotel. Chose this hotel to avoid large tourist crowds. The location is near ShanDaoSi MRT station exit on the banana line and a stop from Taipei Main Station. Opposite you can visit one of the famous soyabean doughstick stall for reasonably cheap breakfast. First time staying there, but turned out to be a great choice! MRT station is within steps from the hotel, good breakfast spread and friendly service throughout and at affordable price. Only downside is lack of eating places or restaurants around the hotel. I had a great stay in Hotel Cozzi during my business trip here. The staffs were very kind and helpful. The MRT station is right across the street from the hotel and is easily accessible. Easy to catch a cab as well. Simple design, room is spacious enough for me - even has a bath tub. Service was wonderful, staff always helpful and made sure no one in the queue had to wait long. Location, next to shandao temple station (2 mins walk), opp a famous soya bean milk place that has long queues every day - tasty too. Will stay there again! Though new, some furniture like cupboard door and water tap slightly broken. Some light shining directly to eye level at the bed. This needs to be improved. Room also a bit small. But bread, lounge with free coffee, provision of milk bottle sterilizer, baby bath basin and stool are very good. Best to also provide infant potty cover for toilet. Asked for this but they didn't have. Overall the hotel is good but not great. The room is clean and cozy but a little small. The bathroom is big and the bath tub is nice but the sink is a bit small. Nice Japanese style toliet with heated seat. It was a last min decision to book Hotel Cozzi since the hotels I normally frequent are fully. Turns out to be a very nice stay with expectations exceeded. 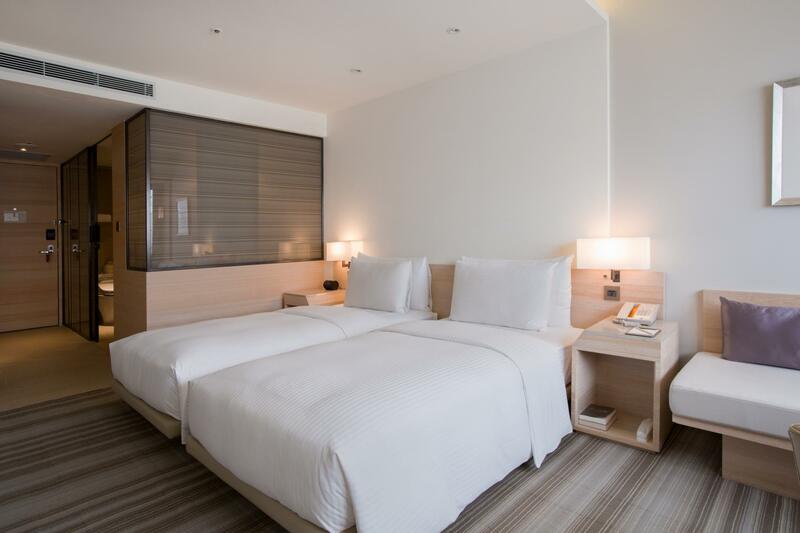 Overall hotel is new and modern, simple and clean but with all the functionalities. My colleague & I liked the quietness of the hotel, and also the lounge. During the mornings, you get a good spread for breakfast (Compare to it to Grand Hyatt VIP Lounge, and selection at Hotel Cozzi is actually better). From the rest of the day, the lounge is a good place to work/read, quiet and you still get free flow drinks, cookies and their homemade breads. Evening time there are small selection of hot bites. Starbucks is just at 1st floor, and also small restaurants opposite if you want something more. The room I stayed in (Cozzi room w/ King bed) is not big but reasonable size for a biz traveller or a couple to feel nice and cozy. The only pity is there is no fitness room/ pool. Otherwise it will be the perfect package.